MMSCENE Magazine enlists rising star on the modeling scene Walter Savage to pose for the pages of our March 2016 edition captured and styled by fashion photographer Emmanuel Sanchez-Monsalve. For the session Walter is posing in looks from Pierre Balmain, Christopher Kane, All Saints, Marc Jacob, Perry Ellis, Nike Air Forces, Ralph Lauren Polo, Uniqlo, Raf Simons Adidas, Acne Studios, D.GNAK, and Moncler. 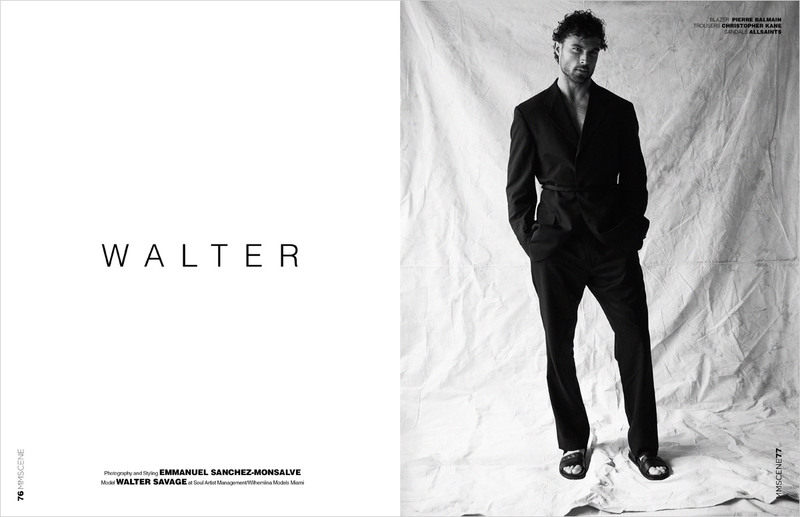 Walter is represented by Soul Artist Management in New York, and Wilhelmina Models in Miami.